Pulmo-Aide Compressor Nebulizer from DeVilbiss provides effective aerosol treatments for nebulizer patients. With more than 30 years of experience, the Pulmo-Aide is the only approved compressor for use with TOBI (tobramycin solution for inhalation). The DeVilbiss Pulmo-Aide is unmatched in quality and performance. 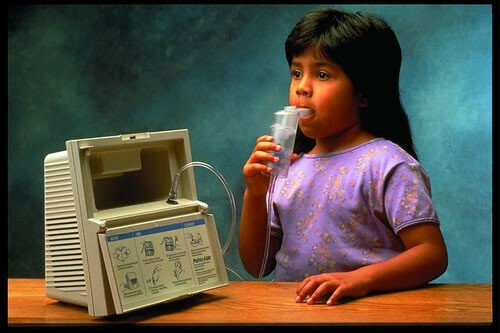 The Pulmo-Aide System comes ready to use with all the attachments – filter, tubing, and nebulizer. Only approved compressor for use with TOBI (tobramycin solution for inhalation). Longest duability compressor with an average product life of ten years. Unique four-pole motor design extends life of the unit. DeVilbiss Pulmo-Aide Compressor Nebulizer Product Number: 5650D. Noise: 51 to 55 dBA. Maximun Liter Flow: 12 LPM. Maximum Air Pressure: 30 PSIG. Compressor Free Air Flow: 9 LPM or greater. DeVilbiss Pulmo-Aide Compressor Nebulizer Warranty: 5 years. 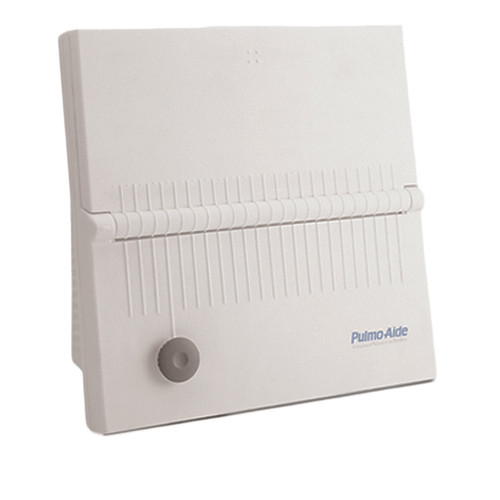 Pulmo Aide Brochure discusses the features and benefits of this nebulizer compressor. Pumo-Aide Guide offers use instructions and care information. DeVilbiss Pulmo-Aide Parts displays the replacement parts with item numbers. Will my insuranse pay for this? We do not work directly with insurance companies because we are an online retailer. If you are seeking reimbursement, you will need to contact your insurance company either before or after placing your order. Do you ship outside Us (Israel)? We are able to ship to countries outside the U.S. To do so, use our International Checkout button located below the Checkout button on the cart screen. I have had this nebulizer since the 1990's. It has always kept my asthma under control. It works for my sister too. I will recommend it to anybody. This is the second Pulmo-Aide Compressor/Nebulizer, Model 5650D, purchased for our son. The first one, used regularly, lasted over 20 years. Although he still needs an occasional treatment, we are confident that this one will also last many years.